Pío Pico was a Mexican governor of California. He was born at the Mission San Gabriel Arcángel to José María Pico and María Eustaquia Gutiérrez with the aid of midwife Eulalia Pérez de Guillén Mariné. His paternal grandmother, María Jacinta de la Bastida, was listed in the 1790 census as mulata. 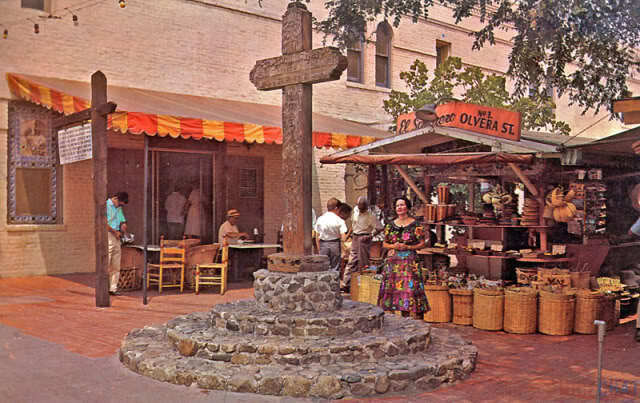 His grandfather, Santiago de la Cruz Pico, described as a Mestizo in the same census, was among the soldiers accompanying Juan Bautista de Anza on the expedition that launched from Tubac, Arizona for California around 1775 with the intent to explore and colonize. Pico was of mixed African, Native American, Spanish, and Italian ancestry. After the death of his father in 1819 he settled in San Diego, California. He married María Ignacia Alvarado on February 24, 1834. Alta California, as the province was known then, marked the northern frontier of the Spanish empire in the New World. 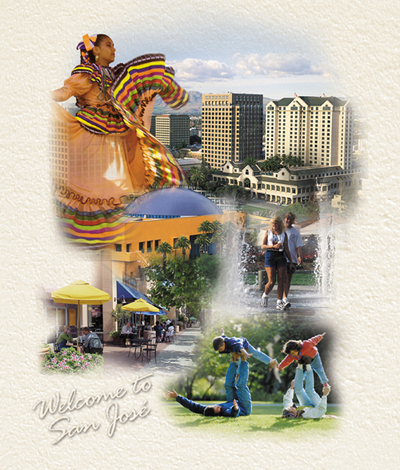 The story of California's African heritage began in 1781, when the forty-four settlers founded El Pueblo de Nuestra Señora la Reina de los Ángeles, and more than half of these original pobladores—Antonio Mesa, Manuel Camero, Luis Quintero, José Moreno, their wives, and the wives of José Antonio Navarro and Basilio Rosas—had African ancestors, as was typical in the northern provinces of New Spain. The descendents of these early settlers eventually developed their own culture and sense of place and became the Californios. Some became owners of large landed estates, granted to them by the Crown, others became government leaders. Some historians and people in general have emphasized a difference between a "Spaniard" and a "Mexican" in terms of race. For example, "colonial Mexicans" are "persons of mixed blood." The implication is, of course, that Spaniards are persons of "unmixed blood" or racially "pure" types. This is a gross oversimplification and ignores the fact that "the population of the Iberian Peninsula was anything but ethnically homogeneous." As Magnus Mörner has observed, the seven centuries prior to the discovery of the New World in Spain "witnessed extraordinary acculturation and race mixture." Furthermore at one time in the history of Mexico there were more African slaves held in Mexico than in the colonial United States north of the border. Moreover, "Mestizos born in wedlock, at least during the sixteenth century, were accepted as criollos, that is, as 'American Spaniards'. In short, the definition of "Mexican" often confuses race with nationality in the modern period and with caste in the colonial period. In addition, by this definition of "Mexican," neither an Indian, nor a Criollo, nor a Black would be Mexican because they are, by social definition at least, of "unmixed blood." Like the original settlers of other parts of California and the American Southwest in general, the Pobladores reflected varied backgrounds: Peninsular (born in Spain), Criollo (born in the Americas of Spanish ancestry), Indian, Black, Mestizo (of mixed Spanish and Indian ancestry), Mulatto (of Spanish and African ancestry), and Zambo (of mixed Indian and African ancestry), among other combinations. 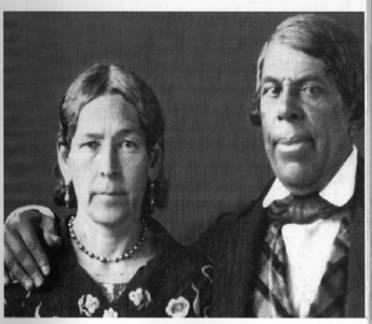 Most of the colonists were of mixed racial backgrounds, and the process of mestizaje (racial mixing) continued in California, to include mixing with the various California Indian societies. 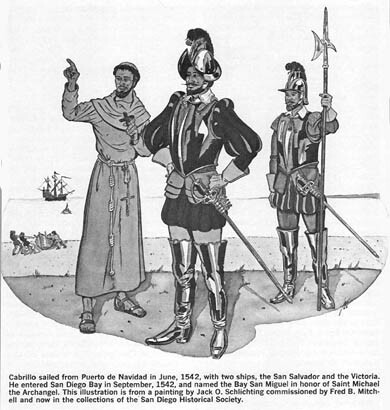 Many Mestizos and Mulattos strove, sometimes successfully, to become identified as pure-blooded Spaniards, and many Indians and Black became Mestizos and Mulattos, because racial identity affected and reflected socio-economic mobility. At least seven of the 22 original, adult settlers managed to do this in the 1790 census of Los Angeles. In general, this meant that the descendents of the original settlers came to identify themselves as either Mestizo, or among the more socially prominent, as Spaniards. 18% ...of Monterey.... were black. comprising 11 families. Of these, 26 were people of colour, 2 were Caucasians and the others were natives or of mixed Native American and Caucasian extraction. And then there is Maria Rita Valdes, the grand-daughter of two of the black founding fathers of Los Angeles. She was the owner of what is now known as Beverly Hills. Franciso Reyes, another black settler in the area held the land rights to most of the San Fernando Valley. There are some muscial references to this family, too. 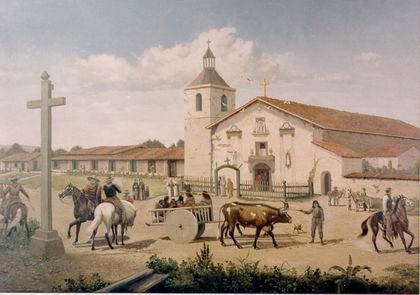 The subject of "When the Swallows come back to Capistrano" is the Mission de San Juan Capistrano which was an estate of Governor Pico's and which for decades was in the posession of his Forster descendants. And, the young woman who inspired the song "Ramona" was a cousin of the Governor's. As a younger man, he had played a rather romantic role in helping her elope with her Americano, the incident on which this classic is based. Researched and Written by Mario de Valdes y Cocom. Andrés Pico (1810-1866) was an influential Mexican-Californian in the mid-19th Century. He was born to José María Pico and María Eustaquia López in San Diego, California. 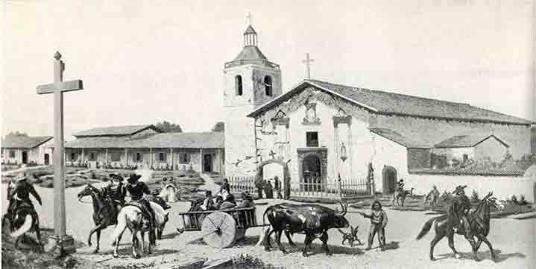 In 1845, Andrés Pico and Juan Manso were granted a nine-year lease for the San Fernando Valley. Pico, at that time a 35-year old rancher, lived in Los Angeles. 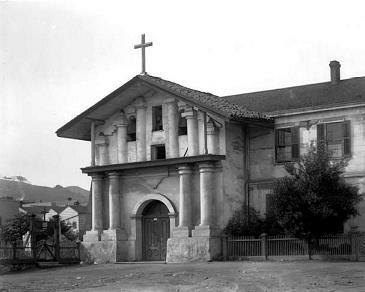 He ran cattle on his ranch and made the Mission his rancho home. During the Mexican-American War Pico commanded the Mexican forces in California and was Mexican Governor of Alta California in opposition to the U.S. provisional government. In 1846 Pico successfully led an attack on forces commanded by U.S. general Stephen Watts Kearny at San Pascual. However, fearing Kearny might execute him, Pico signed with the American commander John C. Frémont, the Treaty of Cahuenga January 13, 1847, which ended the war in California. After California became an American state, Pico remained in California, retained his extensive landholdings, and served as a state senator from San Diego in 1860 and 1861 as a Breckenridge Democrat a Southern sympathizer. Andrés Pico was the brother of Pío Pico, the last governor of Mexican Alta California. Andrés never married, but adopted several children.